The Florida Gators did something against the Kentucky Wildcats on Saturday night that hadn’t been done since 2014. Florida’s 66-64 win over Kentucky marked the first time the Wildcats lost to an unranked opponent at Rupp Arena since February 27, 2014 vs. Arkansas. Jalen Hudson led all players with 17 points, adding 5 rebounds. The Gators were outshot 40%-33% from the field, 24%-20% from beyond the arc and 67%-64% at the free throw line but were still able to pull out the victory. Jalen Hudson, Kevarrius Hayes and Chris Chiozza all made crucial stops in the final 25 seconds to give Florida the win. 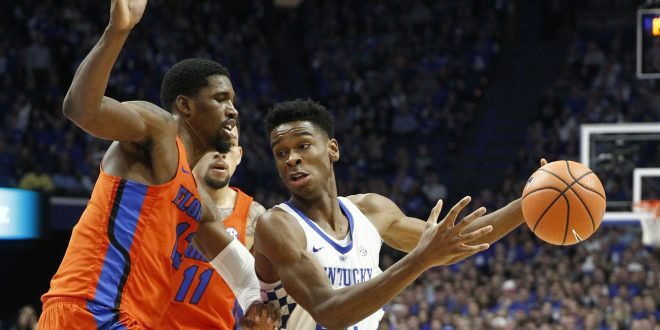 No Kentucky player scored more than 10 points on Saturday night, as Shai Gilgeous-Alexander and Wenyen Gabriel both posted 10 points. Nick Richards’ 9 rebounds led the Wildcats as Kentucky killed Florida in the interior all night. 38 of Kentucky’s 64 points came inside the paint. UK outrebounded UF, 27-20, in the second half, grabbing 11 offensive boards in the final 20 minutes. Chris Chiozza is the Mariano Rivera of the SEC. And he just closed out Kentucky in Lexington. Rupp Arena is silent. Florida wins. 1. Three-Point Stalemate: Coming into the game, the Gators had the No. 1 three-point shooting percentage in the SEC, while the Wildcats had the No. 1 three-point defense. Florida went 6-30 (20%) from long-range, while Kentucky sunk 4 of their 17 attempts from deep. It was impressive to see Florida win a game in which they struggled so much from three-point range. 26 of the Gators’ 66 points came in the paint on Saturday night. 2. Chris Chiozza Does It All For The Gators Once Again: Despite getting hurt early in the second half, Chris Chiozza finished the game with 13 points, 8 assists, 6 rebounds and only 1 turnover in 34 minutes of play. When Chiozza is on the court as the team’s floor general, Florida’s offense looks exponentially better than when they run anybody else at the point. It’ll be interesting to see in coming days how Chiozza recovers from the leg injury. 3. They’re Called Free Throws For A Reason: A 2-point win could’ve been much more had the Gators not missed 9 of their 25 free throw attempts. Kevarrius Hayes went 1-6 at the charity stripe, while Jalen Hudson made 7 of his 10 shots from the free throw line. UF needs to complete the easy in-game tasks if they want to reach the next level. 4. Gators Needed To Do A Better Job Of Converting Turnovers Into Points: Yes, Florida’s 16 forced turnovers did slow Kentucky’s offense and change the pace of the game. Despite the 16 giveaways, Florida only scored 9 total points off of those turnovers. 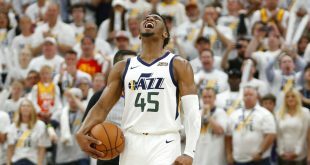 The team missed 8 of their 16 attempted layups and conceded easy transition opportunities at the rim for three pointers way too many times. 5. Keith Stone’s Production Opens Up The Floor: Coming into games against Florida, the scouting report is usually filled with Jalen Hudson and Egor Koulechov’s offensive prowess and Chris Chiozza’s playmaking. When Keith Stone steps up offensively, the entire team benefits. It creates one more headache for opposing defenses to deal with. Stone scored 8 of Florida’s first 10 points, opening the game 2-3 from beyond the arc. Stone finished with 14 points on 5-9 shooting from the field.